This happy guy is hiding somewhere in #downtownEncinitas, checking out the surf conditions, possibly singing his ABC's and people watching as they go up and down the stairs (clue #1). Find him to win James Van Praagh's new #oracle deck, The Power of Love Oracle Cards! 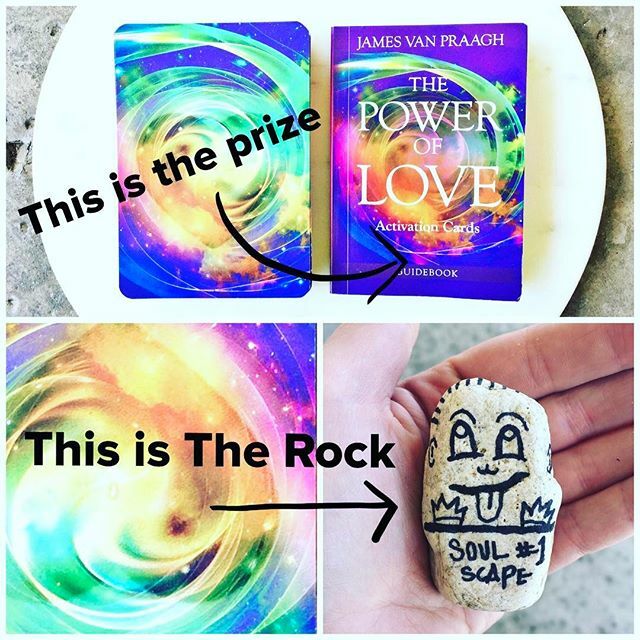 …Rules: find #TheRock, post + hashtag #soulscape + #jamesvanpraagh on Instagram (or DM pic if your account is private). Bring the Rock to James Van Praagh booksigning, 7-8:30pm, June 29th to exchange for your prize, The Power of Love Oracle Deck! One prize per person please. We will contact you to confirm. Now GO!